The years of raising children are fast paced and stressful. When we are fatigued we tend to get lulled into doing what is most convenient, but not necessarily right. Bad behavior can creep in and become habits. 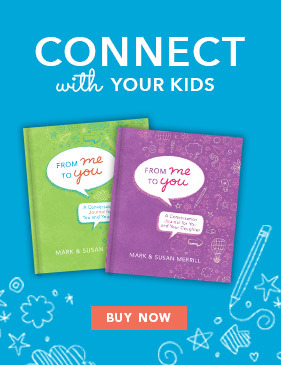 There are some things Mark and I learned along the way in parenting that we spent way too much time learning, so don’t make the same mistakes! Breaking bad habits and forming good habits take time and often require intentional thinking. 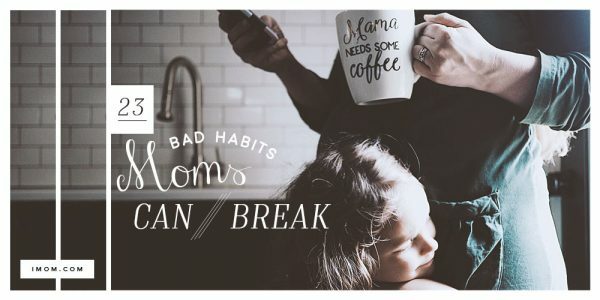 Here are 8 habits to break as a family—work on them with yours. Trust me, you will be thankful you didn’t waste your time or opportunities! We will never have the ‘perfect’ household, but shooting to have a general organization over things is a good idea. It all starts with keeping a great calendar for everyone. It isn’t one that I am particularly good with because I love being involved in each and every project or conversation; I had to teach myself to control the schedule and stick to it. 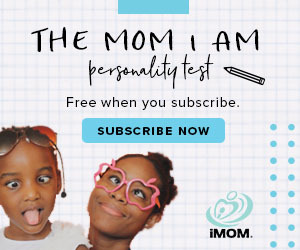 iMOM.com can help you be better organized and help your kids from suffering from disorganization. 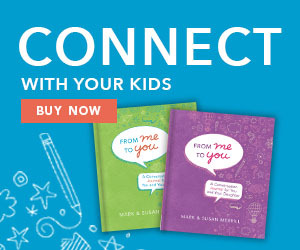 Organization starts with you, Mom and Dad! 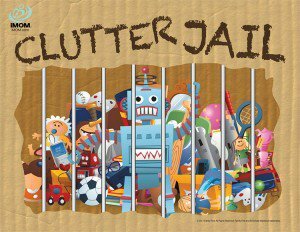 I personally love Clutter Jail—it worked so well with my five. When we would take our kids out for dinner, we would curb wasteful spending by having everyone order water instead of a soda. It saved us $10 each time! Another way to eliminate wasteful spending: we would ask each child, “Is this a need or a want?” If it was a need, we would joyfully get that item for them; but if it was a want, our kids would have to save for the item themselves. 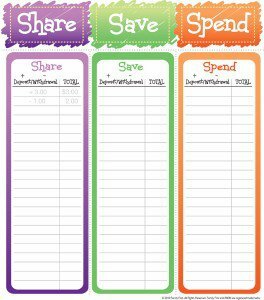 Have them use our Share, Save, Spend printable so they can start creating good money habits for themselves. This is also a really tough one that applies to every family—it frazzles everyone. Don’t spoil the fun! Our rule was you can do one extracurricular sport or activity per season or year. Also, divide and conquer between the two of you since you can’t do it all. Create a family calendar with everyone’s schedule on it, print it and put it on the fridge. Then everyone will be able to see what to expect. You can also put other things on the calendar like important birthdays so that your kids can see the priority. When we find ourselves getting so busy throughout the week, this is the activity that suffers. Make it a priority to have family dinner together at least 3 or 4 times a week. 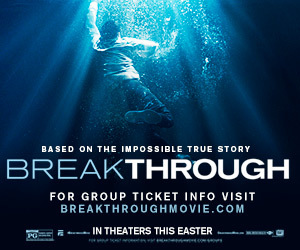 This is where conversation and relationships happen—don’t let it slip away! Make it a priority to have family dinner together at least 3 or 4 times a week. We are less social today because of social media. What an oxymoron! Don’t let your kids take their phone or tablet to their room at night, and turn off the TV on the weekdays. 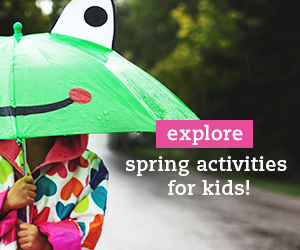 Encourage them to spend time playing outside, or with their friends in person. Here are a few of the technology contracts we have created to help you! It is so easy when you’re tired on Sunday to skip church, but make worshipping with your family at church a priority! This is the most important thing you will do together as a family. 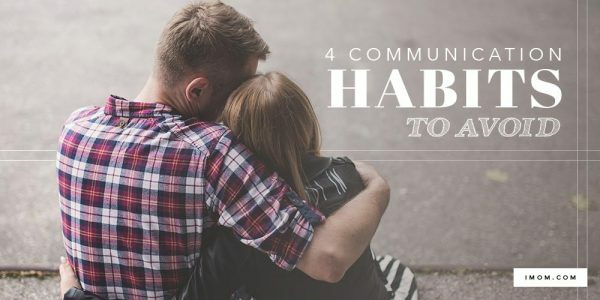 Do not compare your kids to other kids, your spouse to other spouses—we have enough pressure from peers on social media to live a perfect life. Don’t add to that pressure. Talk about how great your family is and be thankful for who you are, what you are, and be a positive light for your kids. Tell us! 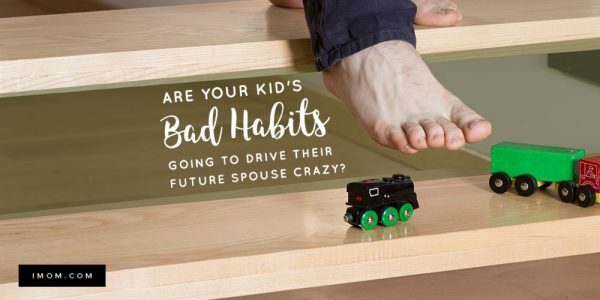 What habit does your family need to kick?